The 6'6" freshman 5 star guard is the real deal and should be a lottery pick in the upcoming NBA draft. Think of Langford as an elite level Palmer: a guy who can get to the rim almost at will, draw contract, and if he's hitting his 3s is almost unstoppable. He's scored in double digits in every game he's played and is averaging 22 ppg in conference. The 6'8" 232# Senior Juwan Morgan has added a consistent 3pt shot to is already impressive arsenal of drives, rebounding, and shot blocking. Morgan and Langford account for 45% of the Hoosier offense. 6'10" 255 De'Ron Davis is the only traditional center on the team and is also coming back from injury which saw him only playing 4 minutes vs Maryland. Seems like he'll be limited if played at all. 6'6" Zach McRoberts is a body they can try to throw at Palmer but otherwise is a non-threat to score. Nana is at 100%. Amir lost 20! pounds during his illness and has gained back 10. Looks like he should be available going forward but will probably still be limited. The Skinny: Nebraska looks into the mirror tonight as they face a highly regarded Indiana team that does most everything well except for rebounding. While you could arguably give Nebraska the edge for the better starting 5, you might need to give Indiana the nod for the top 2 players on the court in Langford and Morgan. Nebraska has defensively focused on taking away the 3 but what sort of adjustments do they make against a team that shoots a low percentage of them? Will they roll out more zone looks tonight? Will they turn back the clock and run some pack? 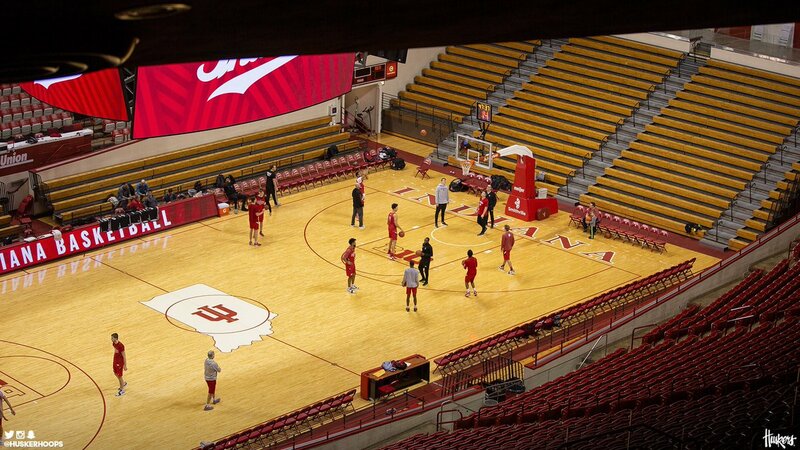 Running that default defense against a team a Hoosier team that looks a bit like Minnesota or Texas Tech seems like it will result in layups and FTs which is how Indiana beats you. What's the plan, coach? Defensively Indiana is going to make you work to get a good shot and in some regards it seems like this Nebraska offense is content in running clock to sometimes get a better shot. Indiana hasn't exactly been shutting down anyone in conference so if Palmer is struggling finding someone else on the team to shoulder the load shouldn't be asking much. Nebraska can win this game but will they? At the end of the day the home team with two best players is the better bet. Matt you do a GREAT job with these. Thanks for doing them. Thanks and I'm glad I was WAYYYYY off on this one.